Fab Friday lunches in town. My day to day job generates no complaints at all as my hours are based over a four and a half day week. Fair enough , getting out of bed at 5.30am every morning has its downsides but finishing for the weekend on a friday lunchtime makes up for the sleepy starts . Recently, during January and February i`ve been working every weekend so the only chance that i`ve had to eat is straight after work on a friday. One of the restaurants in my home town of Whitehaven has been my destination over the last few weeks for their very enjoyable Cumbrian based lunches. 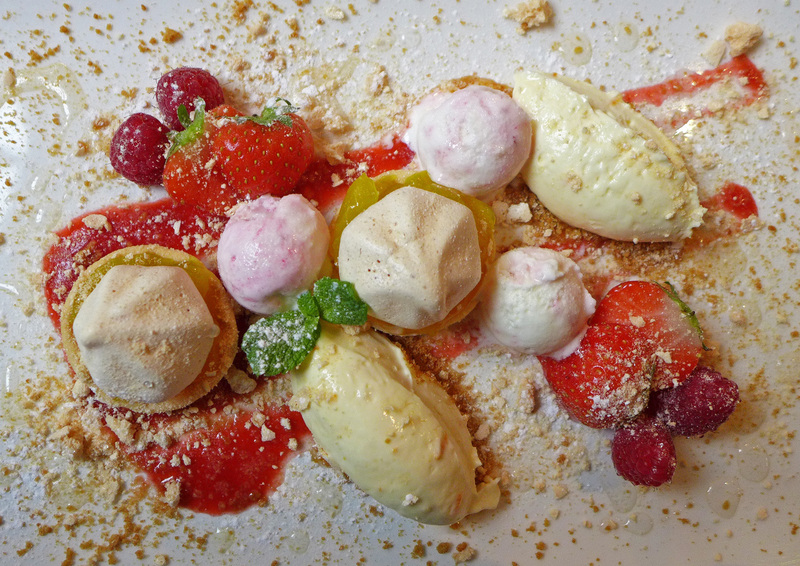 I really do enjoy sitting down , no menu and just ordering 3 courses and 3 wines .It`s a pleasant surprise for me and it also keeps chef Simon Haslam on his toes. The lads in the Waterfront are all a thoroughly decent bunch and more than competent behind the stoves. 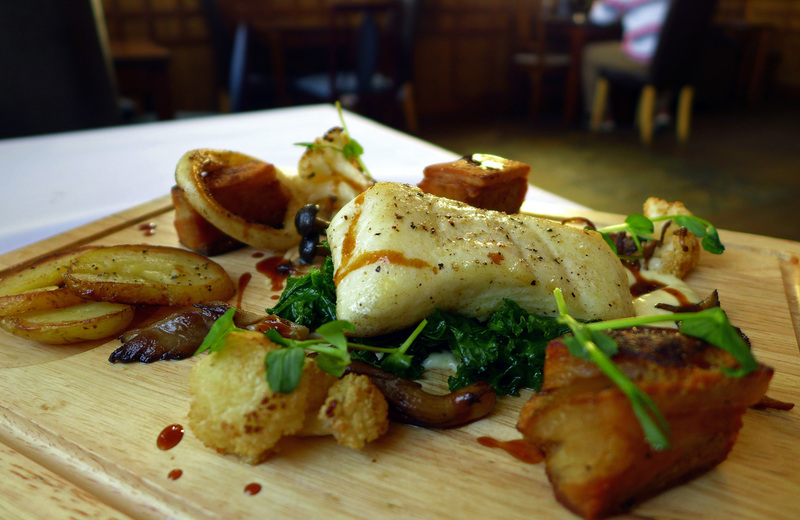 Ive already done a previous blog post on the Waterfront HERE so you`ll see exactly what you`ll be getting on an evening menu. The following dishes are what ive eaten during a “walk in” lunch. I`ve thoroughly enjoyed my little Friday lunch slots so i plan to do a few more over the next few weeks up until Easter to see what other West coast places are producing. The pics below are just as the food arrived at the table and taken with my Galaxy S3 phone and a couple with a compact camera. 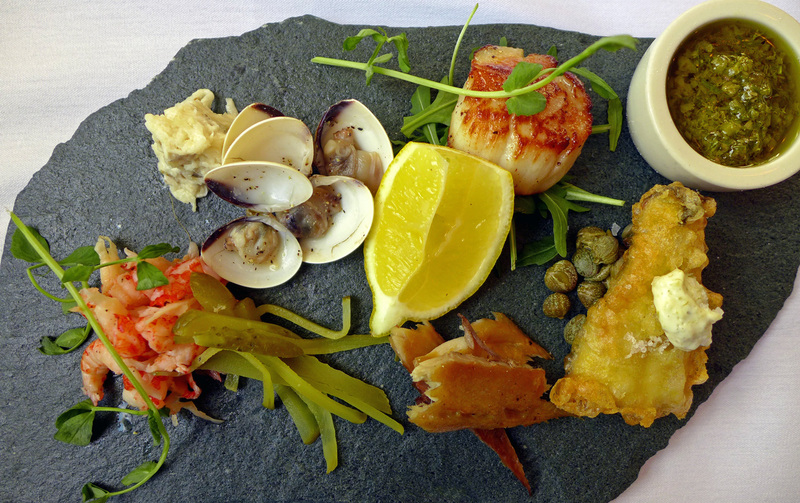 Mixed slate of Cumbrian Seafood. A smaller simpler selection of Seafood. 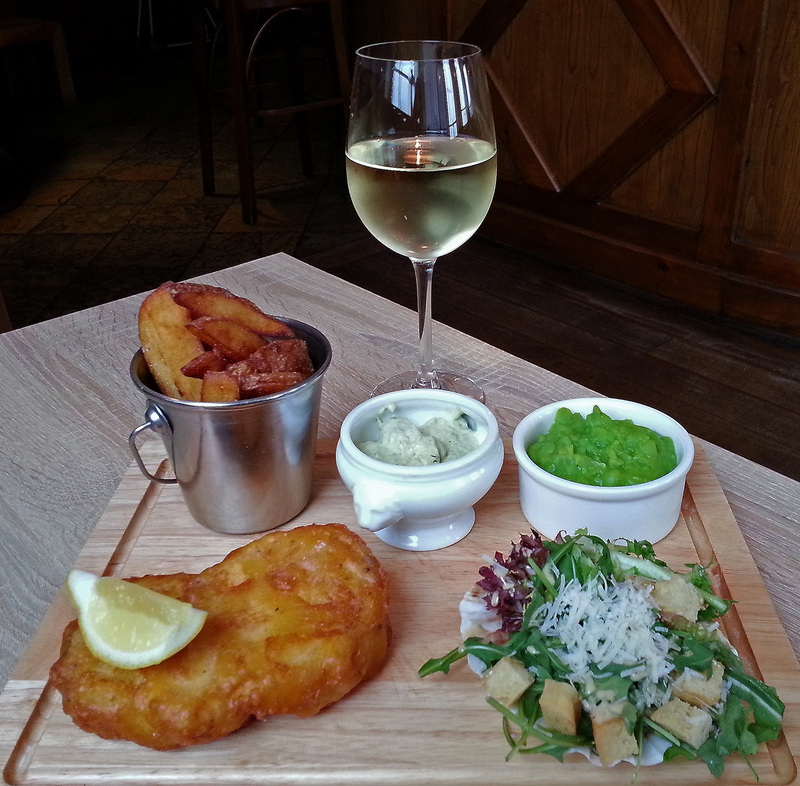 – Crayfish , Seared Scallop , Battered Hake , Mackerel , Fresh Crab and Clams. 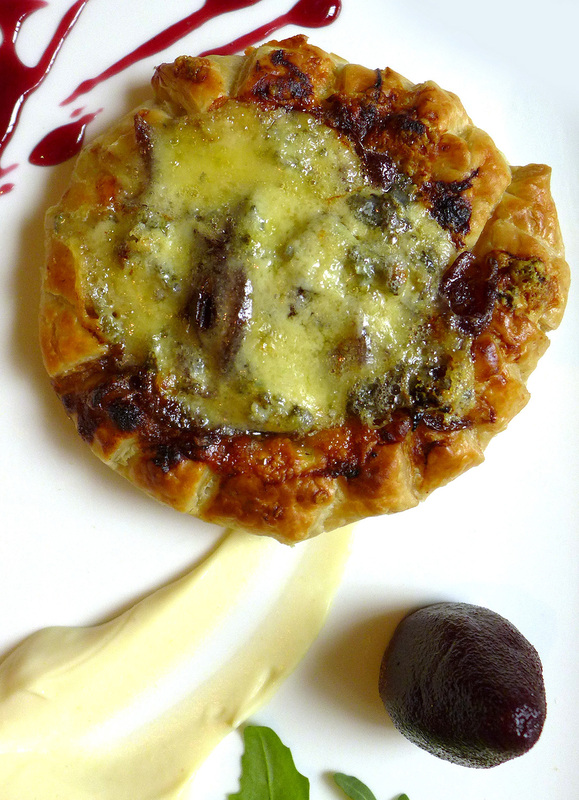 Stilton and red onion tart , baby beetroot – Simple , sweet and well made. 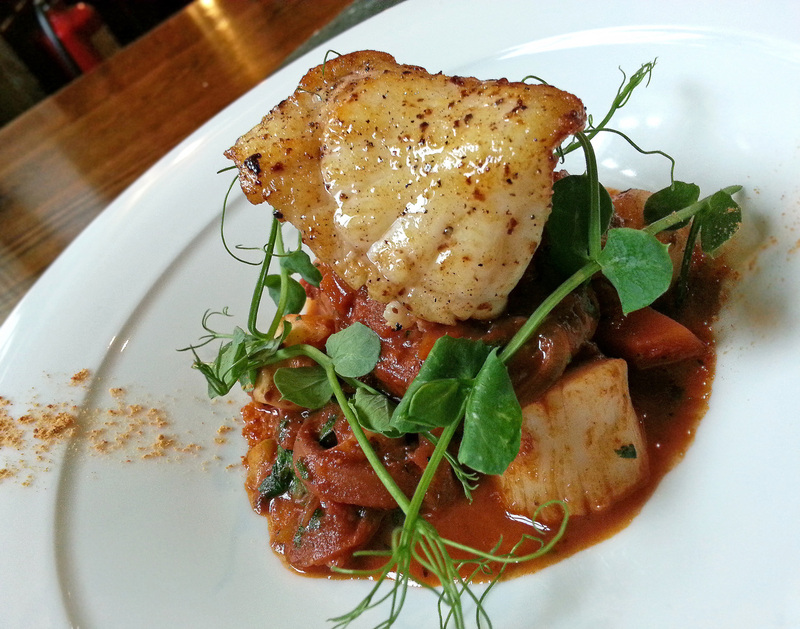 Sautéed Monkfish on a Seafood stew. 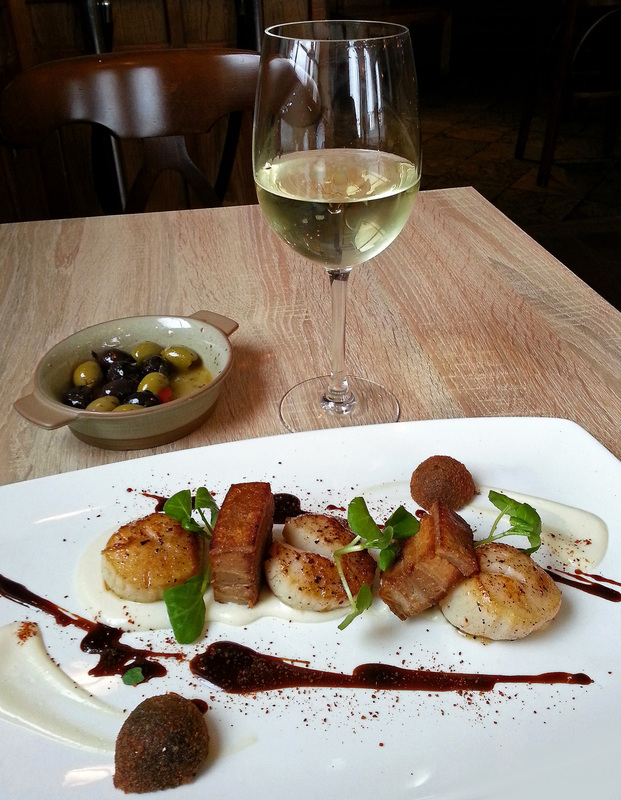 Seared Isle of man Scallops with crispy belly Pork and Black pudding BonBons. 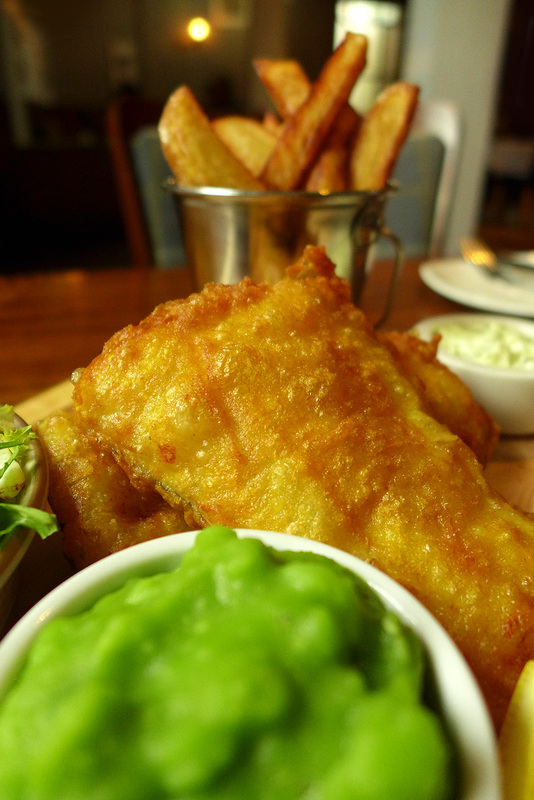 Truly Amazing Cumbrian Fish n Chips…..with all the trimmings. 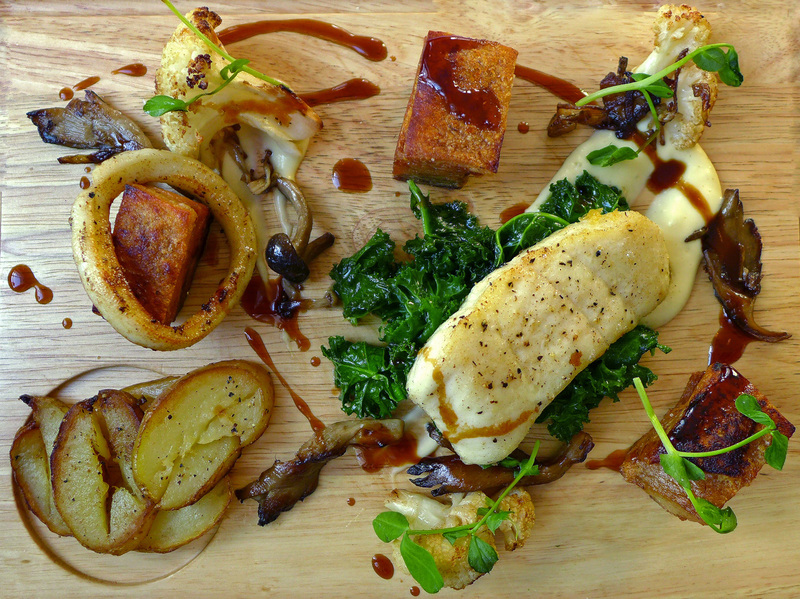 Irish sea Halibut , Belly pork , Squid , Greens and wild mushrooms. 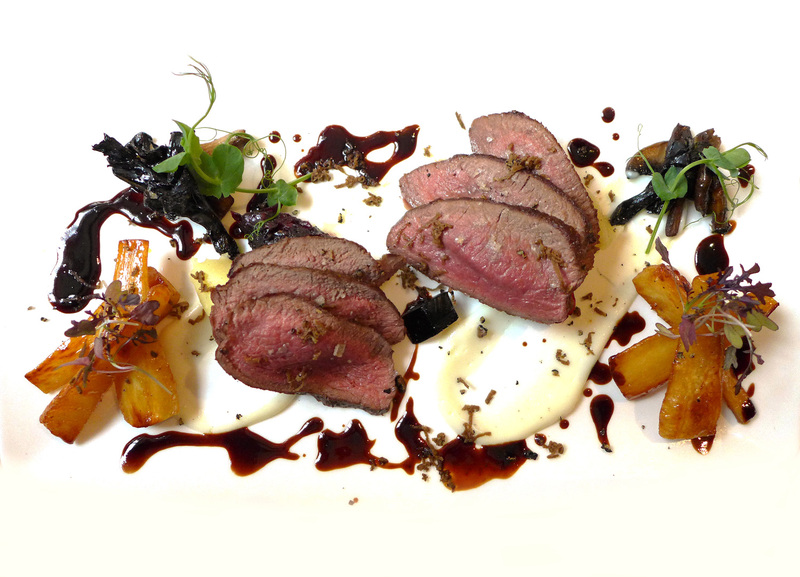 Venison Loin , Honey glazed Parsnips , Black Truffle. 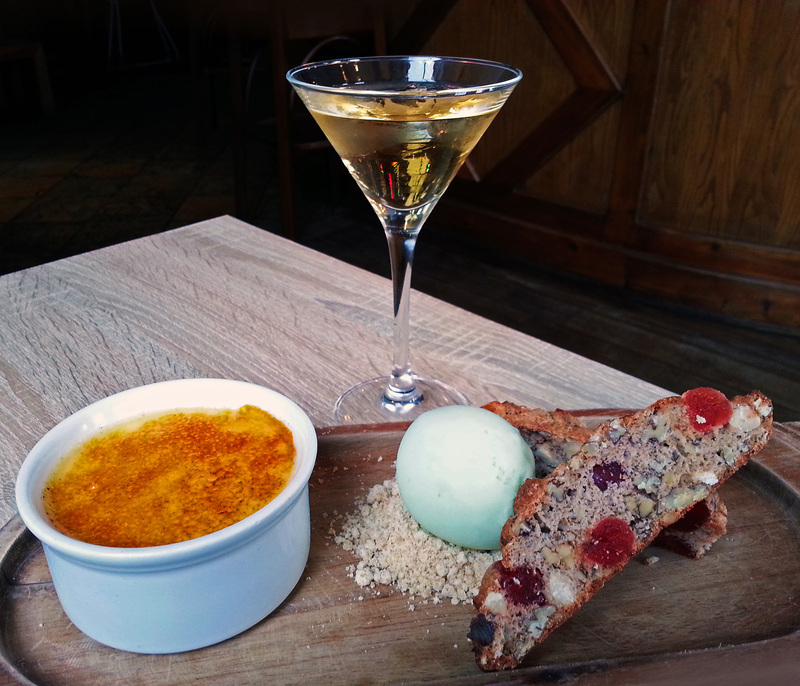 Apple Crème Brulee , Apple sorbet on crumble , Biscotti and a nice glass of Hazelnut. 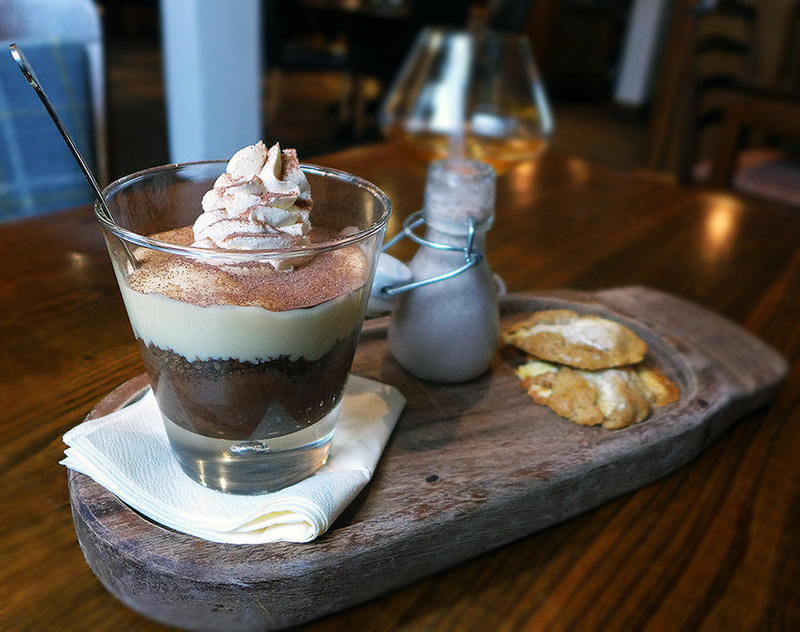 Irish cream Chocolate dessert with White chocolate cream , Malteser milkshake and white chocolate cookies. 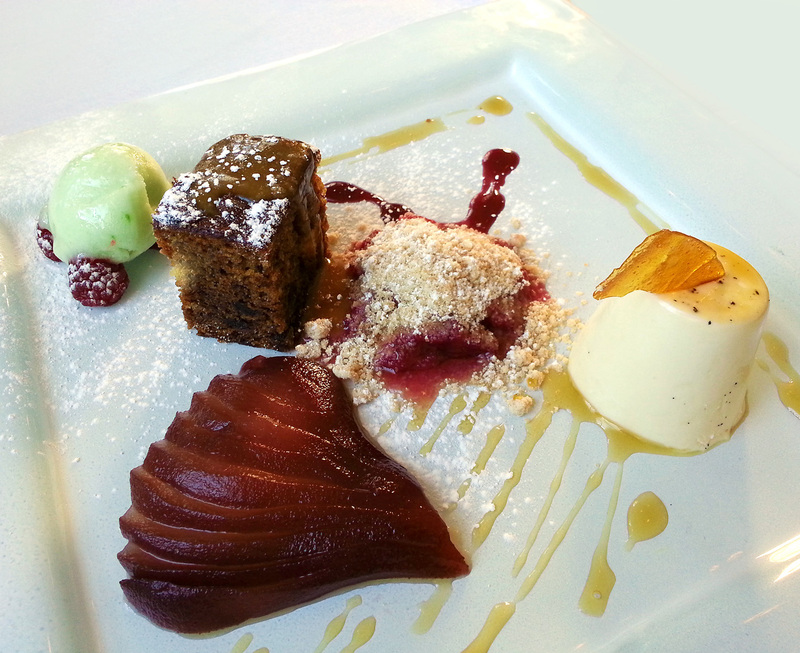 Waterfront Pudding plate – Granny smith sorbet , Sticky toffee pudding , Plum crumble , Set vanilla caramel cream , Red wine poached pear. 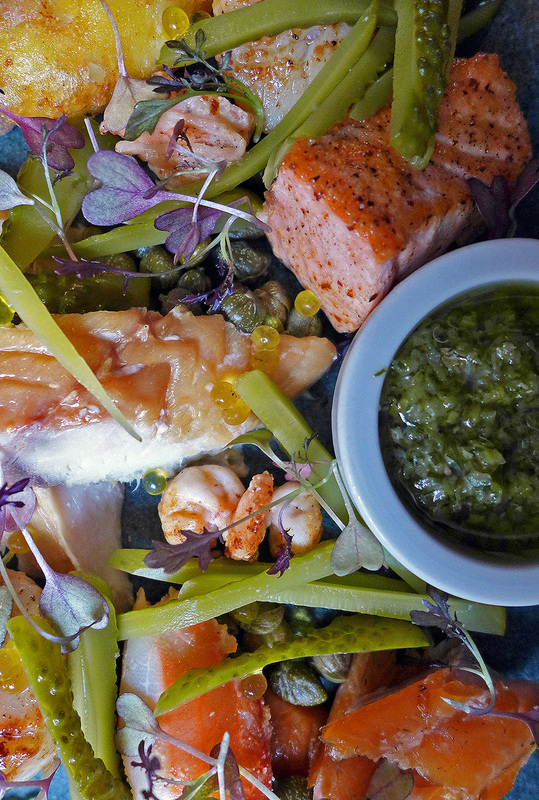 Next Post Rogan & Co in Cartmel – Chef Kevin Tickle cooks a Spring Lunch. 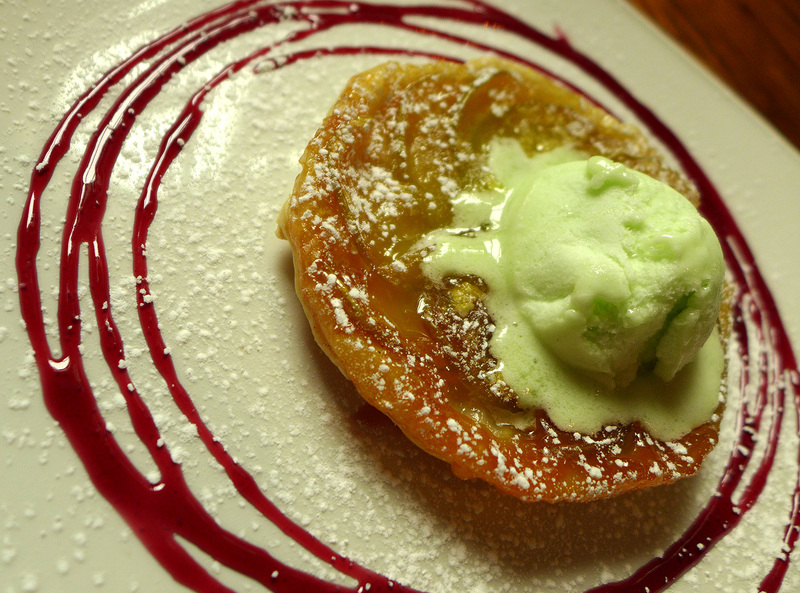 Gorgeous presentation and photography, love your work!